Learn about durability, ease of maintenance and appearance retention. Use this guide and visit our store to consult with our experts first hand. 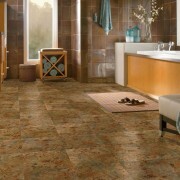 Vinyl products are available in sheet goods, plank goods, and as tiles. Please contact us to discuss all of the available options and how they apply to your application. For looks, for ease of installation, for carefree maintenance, for overall durability and value … for the price, vinyl can’t be beat. Its rugged versatility and water resistance accounts for its widespread use in kitchens, bathrooms, family dens, playrooms, finished basements and workshops. Vinyl stands up to moisture, heavy household traffic, and the active play of children and pets. Wherever you install vinyl, it never needs waxing. You can wipe away scuffmarks and food spills with a damp paper towel! Now, that’s easy clean-up. Available in high-fashion designs made possible through innovative manufacturing techniques, today’s vinyl combines a luxurious appearance and cozy, foot-cushioning resilience to make a truly elegant – and comfortable – floor covering. It’s vinyl like you’ve never seen it before! The very look of vinyl has changed in the last few years, making your design possibilities limitless. 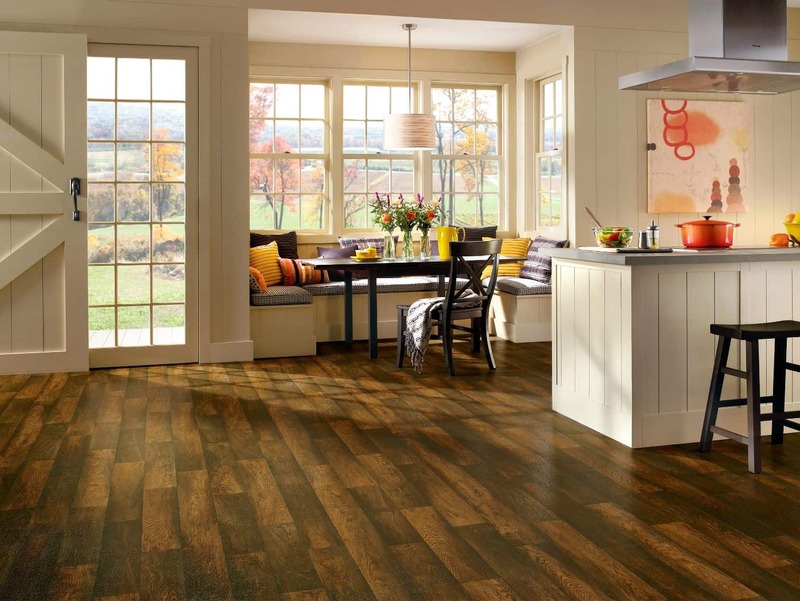 Along with traditional and contemporary fashion colors and geometric patterns, vinyl is now available in natural wood and stone looks. The remarkable variety of decorator designs makes it more practical than ever for your home’s formal as well as casual settings. Let your imagination run free. 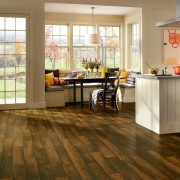 Vinyl’s newest looks were created to expand your decorating plans without expanding your budget. 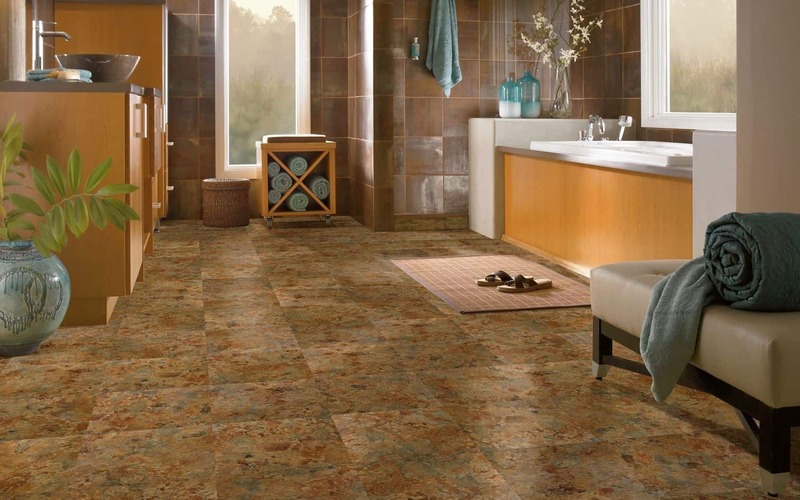 All these elements make a difference in how your floor will look. Don’t forget to check out Installation to learn all about the little details that make a big difference when transitioning from old floors to new.